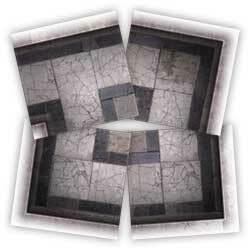 Manipulation Program) to build yourself a map using our Dungeon Map Tiles. First up, you will need to download and install Gimp. 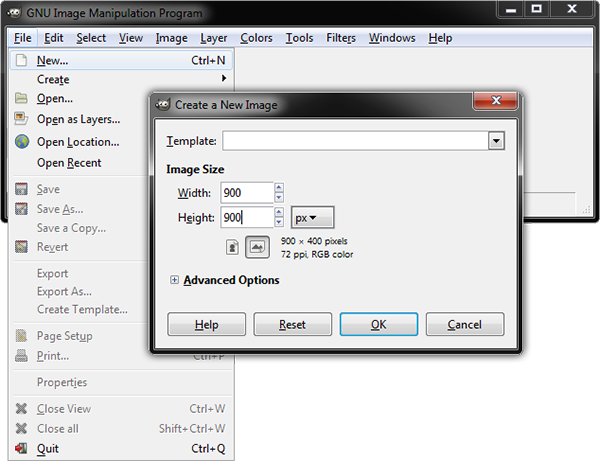 Gimp is a free graphics editing program and can be found by visiting Gimp.org. The program is available for both Windows PC, Apple Mac, and even Lynix. Next up I find it a good idea to open a file browser window to your Map Tiles Folder, and have this window sitting off to the side of the desktop screen area. Do this so that you can easily browse through the folders of map tiles and map tile images to find the tile your looking for. 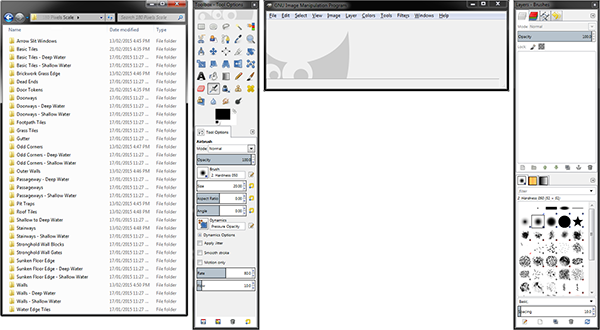 Then move the Gimp program window to the other side of the desktop, so you can see both windows open at the same time. 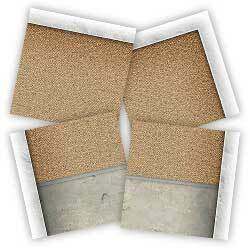 Once you have your windows arranged, it is time to setup your map canvas. You do this by clicking on File and then the New option to display the New Image options menu. This is the menu where you set how big the canvas of your image is going to be. To work out how big your image canvas should be, multiply the number of character squares by the pixel size of the map tiles. In this example I am using the 180 pixel square images, and I am making a map that is going to be 5 character squares high and wide. So this makes our canvas 900 pixels wide and high (180 x 5 = 900). Once you have entered the pixel size, click the OK button. The canvas window might change size to accommodate the new canvas size, just try and arrange your windows so you can see your map tiles library and canvas at the same time. 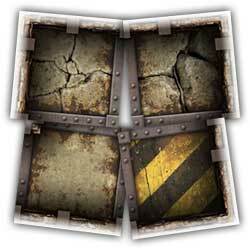 Next we will want to setup a grid to act as a guide for placing our map tiles. This is done by moving the mouse pointer over the canvas, and then right clicking anywhere on the canvas in order to display a sub-menu panel. 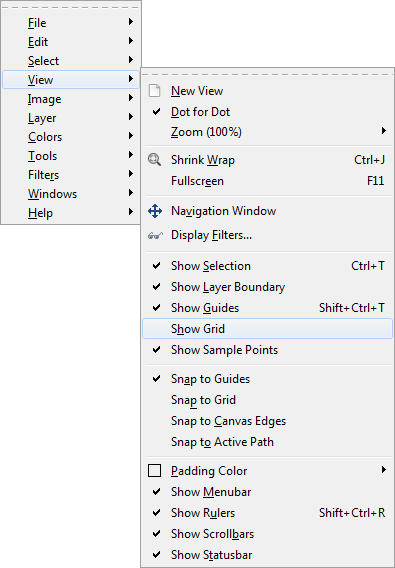 In the sub-menu panel, click on the Image option, then the Configure Grid option. In the Configure Grid window that appears, you need to enter the pixel size of the map tiles being used. In this example we enter 180, but if your using the 50 pixel map tiles you will need to enter 50. Once entered, click OK.
Don’t worry that you can not see the grid right away. 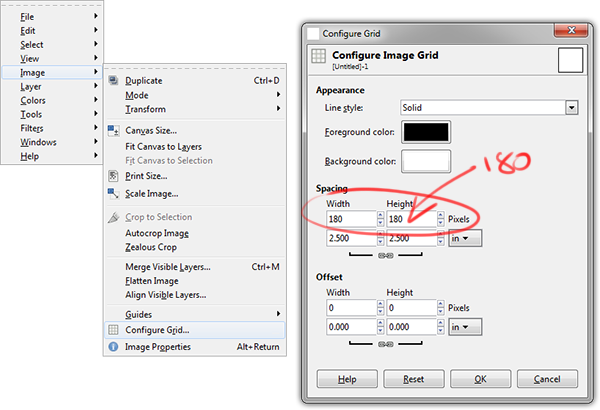 To display the grid on the canvas, right click anywhere on the canvas again to display the sub-menu. Then click on the View option, and then click Show Grid from the sub-menu. The guide lines will now display on the canvas, but don’t worry, they are only guide lines and will not show up on your map when you save the finished map. The last thing you need to do is right click on the canvas again to display the sub-menu again, then click on the View option again to display the sub-menu. But this time instead of clicking on Show Grid, click on Snap to Grid. 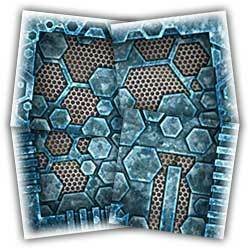 With this option turned on, when you drag map tiles around on the canvas, the tiles will snap to the grid lines, which makes lining up each tile, easy! 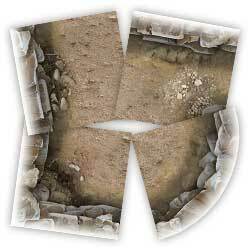 Now is the time to start dragging map tiles onto your map. 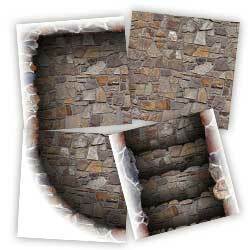 Simply browse through your map tiles folders and find the tile you want to use. 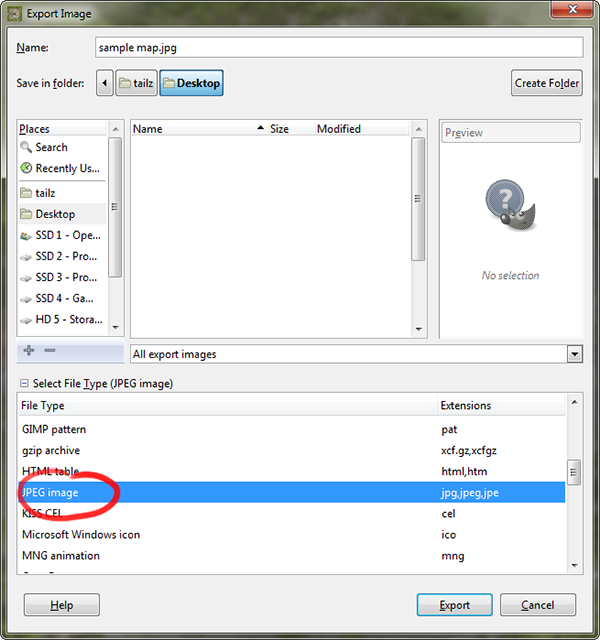 When you have found it, click and drag it from the file browser window, into the Gimp canvas window. 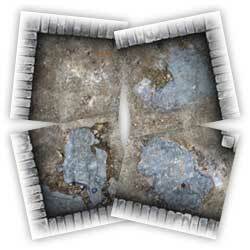 Doing so will place the map tile graphic into the canvas as a new layer with the map tile centered in the canvas area. 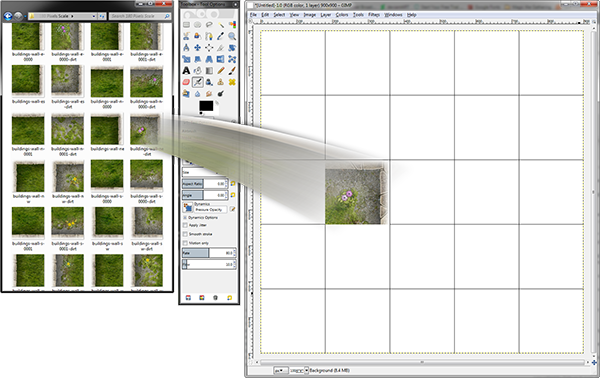 In order to move each map tile after placing it on the canvas, use the Move Tool from the Gimp Toolbox menu. 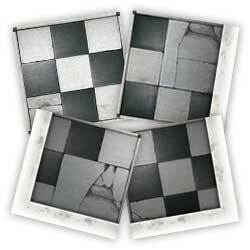 You will notice that as you move each map tile around, the edges of the tile will “snap” to the Grid Guide lines. This makes lining up map tiles an easy task. 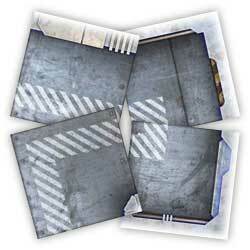 Just continue to drag-n-drop in new tiles until you have completed your map. Once you have filled your map with map tiles, it is time to save your map. If you have finished editing, and want to save the map for use in Fantasy Grounds, Battlegrounds, or Roll20. Click File, and then click Export or Export As… from the list. 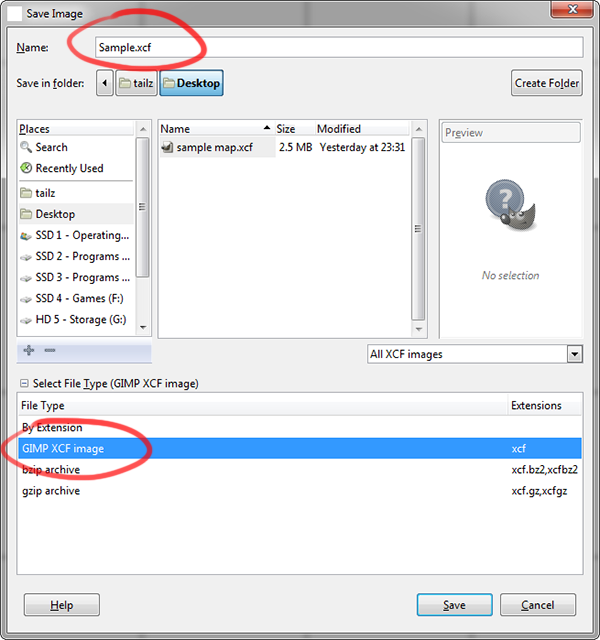 An options box will popup where you can give the image a name, set where it is going to be saved too – and most importantly – select the file type that Gimp will save out: JPEG Image. Once you have it all set, just click the Export button and Gimp will save out your image. We have a video clip on YouTube that Tailz made. 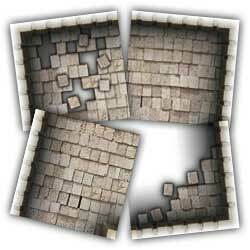 The video clip displays Tailz building a map in Gimp with tiles from our first Dungeon Map Tiles set. The video shows how this tutorial works in practice. That is pretty much all you need to do. We hope you have many hours of fun building maps and then letting your players explore them, while being chased by a pack of crazy goblins! 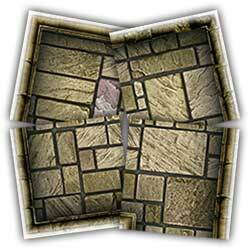 If you have any questions or just want to join the discussion about our map tiles, there are two discussion threads over at the Fantasy Grounds Forum for Dungeon Map Tiles I, and Dungeon Map Tiles II. 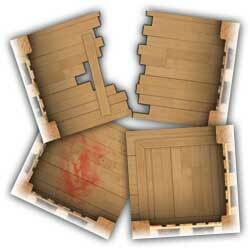 If you are looking for our range of Dungeon Map Tiles, you can find an article about the current set by clicking here or you can view the new set that is being built by clicking here.